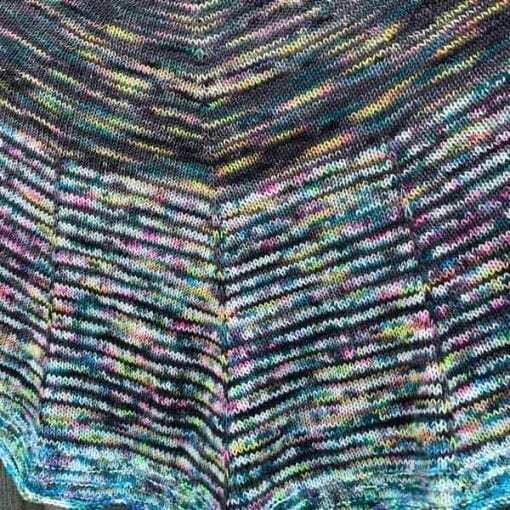 I wanted to make a cashmere silk shawl to really show off my Leggero 4ply yarn. I chose this hugely popular pattern from designer Stephen West and I am so pleased with the results that I want to offer it as a kit. You will have to purchase the pattern separately from Ravelry because it is not available as a single pattern. 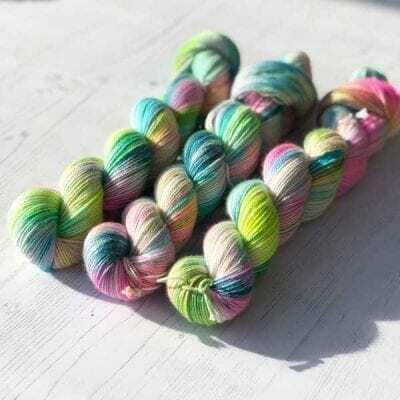 You will need 2 skeins if you are making small or medium, or 3 skeins if you want to make large. I wanted to make a cashmere silk shawl to really show off my Leggero 4ply yarn. I chose this popular pattern from designer Stephen West and I am so pleased with the results. 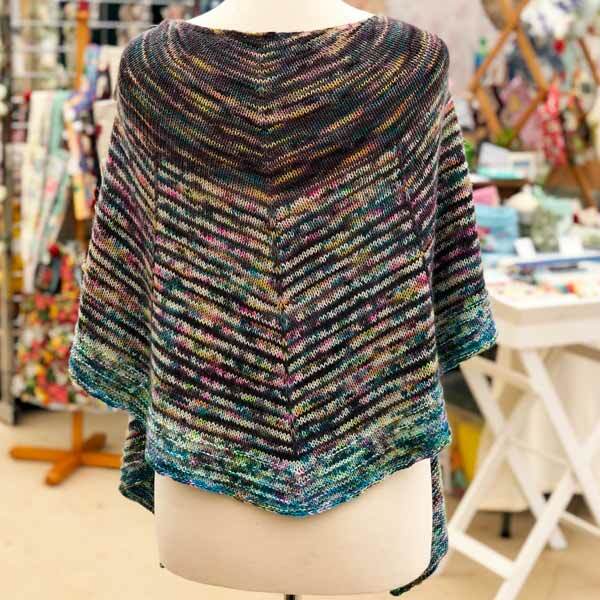 The pattern is simple but stunning and really works well with the variegated yarns, with the stripes being clearly obvious in places and almost disappearing in others. 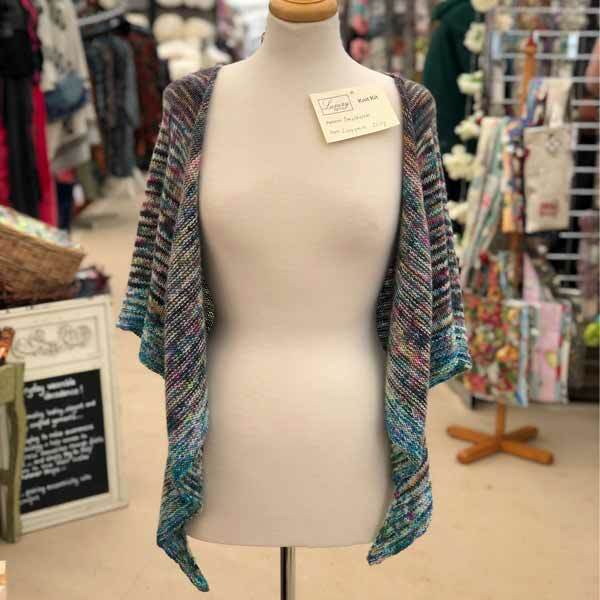 All the Leggero yarns compliment each other and the colour palette is consistent – the pinks are all the same, the blues are all the same etc so they work perfectly with this pattern. 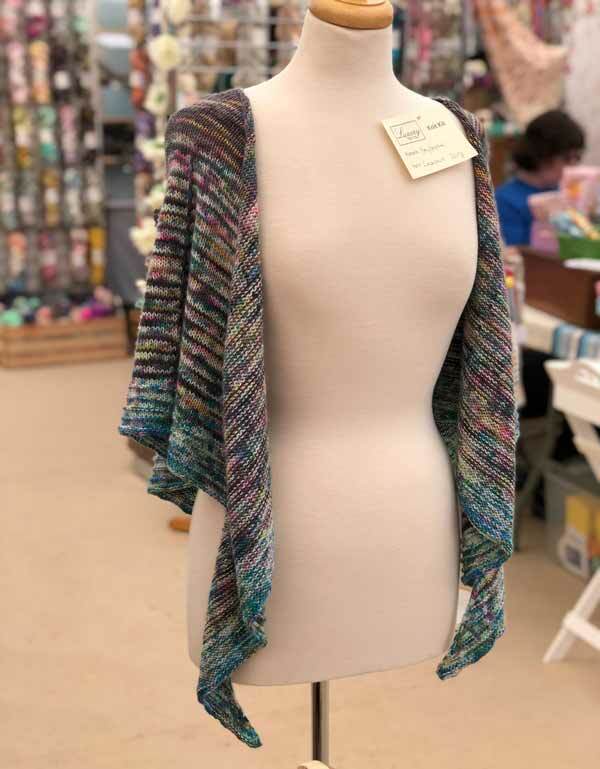 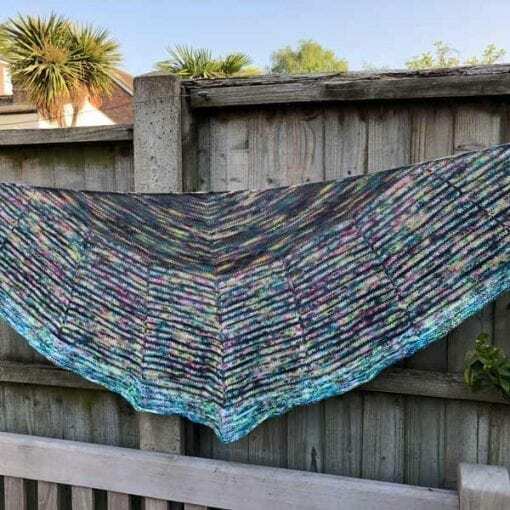 I have created this kit so that others can make this shawl, but unfortunately however, the pattern isn’t available as a single printed pattern, only as part of a book. 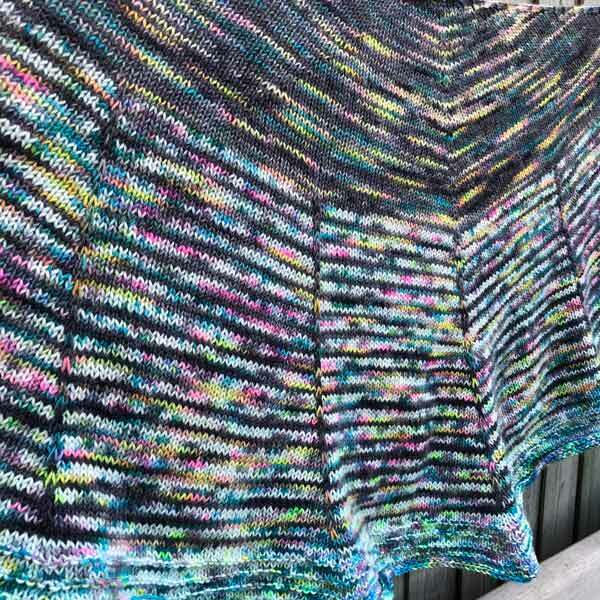 However, you can purchase it from Ravelry here so that is perhaps the best solution. I made the the middle size and used 200g – roughly 100g of each colour although you will have a small amount of Colour A left over. If you want to make the large you would need 100g of the Colour A and 150g of Colour B. I appreciate that this is not cheap to make but you will have a beautiful cashmere silk shawl that you will cherish for life!